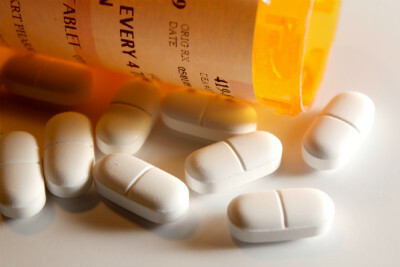 The use of opioids in the United States has reached a point at which it is now considered to be a major public health concern due to the alarming rates of overdose and death. President Donald Trump also recognizes that the opioid crisis is one that requires immediate attention and focus in order to prevent future deaths. "Nobody is safe from this epidemic that threatens young and old, rich and poor, urban and rural communities," Trump said recently. "Everybody is threatened. Drug overdose is now the leading cause of accidental death in the United States, and opioid overdose deaths have nearly quadrupled since 1999. It is a problem the likes of which we have not seen." According to the National Institute of Drug Abuse, more than 90 Americans die each day as a result of overdosing on opioids. In addition, the economic burden associated with prescription opioid abuse in the U.S. is estimated to be $78.5 billion per year according to the Centers for Disease Control and Prevention (CDC). Given the risks that can be associated with this class of drugs, several strategies have been proposed to curtail the growing epidemic, stemming from both the Food and Drug Administration (FDA) and the Drug Enforcement Agency (DEA). In June, the FDA removed Opana ER from the market due to concerns over risk outweighing the clinical benefit of the drug. Typically, drugs are pulled because of harmful side effects, but Opana ER is the first drug to be recognized by the FDA as causing harm related to the potential for abuse and addiction. The DEA also recently took steps to combat this growing issue by working to cut the production of painkillers by 20 percent by 2018, with a focus on Schedule II painkillers, such as hydrocodone, oxycodone, morphine and hydromorphine, and other associated medications. In particular, these drugs have been associated with the opioid abuse epidemic, and this can be seen as another step toward bringing about a positive change. While the opioid epidemic has continued to grow, there has actually been a decline in opioid sales, according to IMS Health. As a result of the risks associated with this class of drugs — particularly if used over an extended period of time — healthcare professionals have become more cognizant of their prescribing habits. "Physicians, pharmacists and patients must recognize the inherent risks of these powerful medications, especially for long-term use," Acting Administrator Chuck Rosenberg said in a statement. "More states are mandating use of prescription drug monitoring programs, which is good, and that has prompted a decrease in opioid prescriptions." The DEA had already cut production of opioids by 25 percent from 2016 to 2017. The goal is to have an appropriate supply of opioids on the market that are purely intended to be used for valid medical reasons, while at the same time preventing acts of abuse and diversion among the public. Once the DEA is able to establish an appropriate quota, this will be provided to various manufacturing and procurement companies in an effort to use this as the basis for their production. This quota system resembles the foundation of the Controlled Substance Act, which is designed to reduce or prevent diversion by having measures in place to ensure that production is only coming from legitimate sources. Dr. Abimbola Farinde is a clinical pharmacist specialist in psychiatry and geriatrics who graduated from Texas Southern University. She has gained a wealth of knowledge and training with the completion of residency training programs and being in practice for more than five years. She is interested in sharing her knowledge with other professionals engaged in clinical practice in a variety of settings.